It fits screen good even though it takes about 15-20 minuets to get rid of all baubles. But it can not used with any back shell, it will be lifting corners. That's why I'm giving it only 2 stars, it's not case friendly. Sent me wrong item but exchanged it with no problem overall service very good. Would use them again. A bit tricky to install but i got it with the first one.. good quality!! If you have to buy a screen protector for galaxy s8 buy this one!! Protector was fine initially although not the easiest to apply. However, was not compatible with case and therefore only lasted 24 hours. Very happy with Samsung Galaxy S8 screen protector. Just what you'd expect. Fits the phone well, protects the screen. Fits well to the edges of the screen. Only downside is that, depending on the case you use, the edges are vulnerable to being lifted - e.g. if you regularly catch the phone on the edge of your pocket. Not a big issue and it is pretty much impossible to avoid with curved screens. Overall a terrible screen protector. Would not recommend it. Wasted my money on this. -hard to install. If you mess up during the install process, such as getting any fingerprints or dust on the sticky side of the film, it's game over. No way to recover from it. You'll have to throw it out. I bought this product and delivery was quick. But ininly received o my 1 out of the 2 protectors and they don't fit. Fits s8 well. Works well with some cases - others push the curved edge of this protector up & off the edge of the screen. This was the third screen protector I tried for my S8. The first was a glass one which fitted very easily but significantly reduced the sensitivity of the screen making the phone very hard to use. I then tried a cheap film protector but just could not get the bubbles out. However, with a lot of work, I managed to get this Samsung protector fitted and all of the bubbles removed. I ended up using the hard side of the squeegee to force the last of the bubbles off the display. Now it looks great and works well. Very happy with this product on my Galaxy S8. I bought this to use with a Spigen case (which is a great product). However, where the case wraps around the edge of the screen it pushes against the edge of the protector. Also these soft-film protectors are generally fiddly to handle and position and very prone to dust particles getting trapped however careful you are. I replaced it with a glass protector designed for use with wrap-around cases, and which came with a mounting jig. Fitted in seconds, no dust - perfect. That's what I would recommend if you have a wrap-around case. This type of soft-film protector would probably work well enough with a non-wrap-around case, but still fiddly and dust-prone to fit. I am very happy with these screen protectors. And you get two which is a bonus. Can recommend. Good quality screen protector and easy to fit. Would really recommend! Fairly easy to apply and thin enough not to interfere with screen sensitivity. Item as described and easy to apply. The screen protector fitted quite easily, once I had used the squeegee to get rid of them. Fast delivery. Have used mobilefun for other protectors. Definitely recommend them. What a rip off. Two flimsy screen protectors that bubbled up and were useless for £17 including postage. So disappointed. For the price I expected tempered glass not this rubbish. Serves me right for not checking but I have to say what absolute crap. Needed a screen protector quickly for new phone, also ordered case but wrong one (my fault). MobileFun delivered quickly and returning wrong item for refund was easy. Would recommend their no quible fast and efficient service. Really good item. Nice and thin unlike the thick plastic rubbish you normally get that comes away from the screen at every opportunity. Easy to put on. Handy squidgy to help push out the small amount of bubbles. Screen protector easy to apply and the few small bubbles that appeared after application worked their way out over night. Really good value product, easy to apply and quick delivery. Would recommend. Excellent screen protector, has gone on very well and only one slight bubble which I'm sure will work its way out soon enough. Excellent that you get a second one. Fab service from the website. I have brought and tried several screen protectors for my S8, some cheap plastic ones, some expensive glass ones, I've had trouble with screen sensitivity, image quality and dust breaching the curve under the protector on them. A few weeks back I bought the official Samsung S8 screen protectors, they are by a country mile the best ones yet. The screen sensitivity is perfect, image quality isn't compromised and as they are an official Samsung product the fit is perfect, the curve in the protector fits the screen perfect and doesn't lift, the adhesive is of high quality and doesn't let any dust under, don't waste your money on anything other than this official product, plus u get a 2nd protector! Regardless of precautions taken, mainly due to my work environment, I always seem to get minor surface scratches, so a screen protector is a must. I'd purchased unofficial screen protectors in store and had serious screen sensitivity issues, so much so I almost sent the phone back! However, Samsung finally released an official version, and I have to report it works well, albeit a bit harder to apply without any air bubbles due to the slight curvature, but all in all a fantastic bit of kit, and quick delivery. Great product. Fits phone very well. Finding a screen protector for my son's phone was proving difficult. Read some reviews where other products didn't fit the phone well. Very happy to say this product is great and fits around the corners of the phone and gives great protection. Came in a two pack which is great and had everything included that you needed to put protector on with. Price was great and it works. The best screen I have bought it is excellent along with Olixar X-Duo Galaxy S8 case. Bought these for my wife's new phone and they were a perfect fit! They arrived pretty quickly and exactly what I ordered. Would highly recommend and will be buying more! Excellent product, but hard to install. I am pleased with the look of the screen protector. It was however difficult to install, and for the first time ever (after installing a lot of other similar protectors with minimal issue) I damaged the first screen protector so I had to use both of them to install. Failure is not an option and resetting the protector will damage it if you don't place it perfectly. I think this screen protector is near perfect IF you manage to fit it right first time, with no dust. I have failed three times. Now I will make sure I go somewhere completely dust free and with plenty of light for my one remaining attempt. This is easily the best screen protector I've tried for the Samsung Galaxy S8. I tried a total of 3 separate tempered glass screen protectors, all of which had issues with touch sensitivity and case friendliness. To all those out there that are skeptical about purchasing a film screen protector, I can say from personal experience you won't regret it. This protector is also fully compatible with both my Spigen and Element cases. After trying a tempered glass with adhesive only down the edges I decided to give the full surface adhesion plastic screen protector a go. Took so effort to remove the bubbles but well worth it as I managed to get a scratch across it on day one, saving the glass. The cover is a perfect fit and is not pushed up but the LED cover I have fitted. Only screen protector that actually fits!! Quick delivery, good packaging and really loved the pre.shape or the screen protector. The dust sticky tape was of great benefit and the screen protector went on really easy with the squeegee privided. Good job! You get two protectors in the pack, plus screen cleaning cloth and dust removal tabs and a squeegee to get bubbles out. There are protective films on both sides of the protector. You remove the screen-facing one and line it up and need to roll it out, using the squeegee to minimise bubbles. The front protective film has guides for aligning with the lenses/sensors at the top of the screen, which helps with positioning. However, my first attempt was too clumsy and ended up in my junking the whole screen protector, so had to use the second. This time it went on well and all the bubbles came out. Once it's fitted properly you can't really tell it's there. I'll see how it performs, but I'm not sure I'd buy again. This screen protector is good however depending on the case selected it can peel off at the edges. It would be good if there could be a warning note on this prior to purchase. Thank you. The screen protector is crystal clear and covers the entire screen of my Galaxy S8. For those who have the RhinoShield Crashguard, the screen protector is compatible covering nearly to the edge of the protector. The screen protector is also quite unforgiving with dust introduced. The kit came with a sticker to help remove dust but could not remove the dust under my screen protector, despite pressing the screen protector hard unto the sticker. Doing so also removed or added some glue unto the adhesive use to stick the screen protector to the phone, leaving a slight rainbowing effect where I used the sticker dust remover. Not super noticeable but you will notice it if you are focusing on that area, especially on a white area. Fits the S8 screen like a glove with barely any bubbling. Highly recommend! The screen protector with curved edges proves to be difficult subject these days. This one sticks to the phone perfectly, especially on flat surface of the screen, but there is BUT... if you are planning to use some cover which could meet the screen protector on the edges of screen expect problems there. I tried to use soft Olixar ultra thin cover and it lifts up the edges of the screen protector every time they meet on the curve of the phone. So if you use hard shell covers that should be alright. I tried 3 different tempered glass screen covers for my S8, having had tempered glass save my screen on and S6 and S5 in the past, I thought I better not get anything less. Unfortunately, they all fitted perfectly but were not functional, I completely lost screen responsiveness with all of them as they only adhere on the sides. So I decided to try this, ok not tempered but at least I will get scratch protection. I was pleasantly surprised, it seems more robust than a simple piece of plastic film, easy to fit and works with my flip case. Don't bother with tempered glass, they are just a waste of time on an Edge screen! This is much better fit. Together with my filp case and insurance I am hoping my screen is totally covered!! Easy to fit, bubble free but the cut out at the top doesn't look right somehow, and allows dust to stick to it. If it didn't have that I would have given it 6 stars. Generally, I hate screen protectors but with my new Samsung S8 I found that the screen was scratching very easily. I ordered screen protectors from mobile fun and they fit great and perform great. They were shipped quickly and the price was excellent considering they actually sent two. Fits great! Easy to put on. Easy to install, perfect to use! This was the first investment i made for my brand new S8 so was a bit skeptical initially, mainly cuz i wanted to get something that would give me at least a basic level of protection while i went about my day-to-day usage & trust me, this protector has not disappointed! The installation was pretty straight forward & easy (i got it right the first time - considering it was my first ever attempt to install a screen protector on a phone) However, Samsung have been generous enough to ship two protectors in the box just in case. It looks & feels really good and the touch sensitivity is spot-on! - It is a Samsung product specifically for this phone after all! Overall, well worth the price you pay and it does the job it was intended for! But don't expect a high grade of drop protection that a tempered glass protector would offer though. I really like how adhisive the screen proctector is; it stuck to the phone really well. Also the edging was good. It didnnt lift from the sides like other screen protectors. While the plastic film screen protectors don't offer the same level of protection as the tempered glass ones, they fit and blend into the phone much better. I've had sand damage to my old S6 screen and so I wanted something that would offer some protection from this which these will provide. You get two screen protectors in the pack and if you take your time you can get a good fit and get any air bubbles out using the squeegee provided. I find the phone to be just as responsive and easy to use with these protectors on. I didn't want to pay a fortune for a screen protector as I have the Samsung LED case, but wanted "extra" screen protection. Looking at previous reviews, it wasn't an out and out winner, but I thought it was worth a go. Easy enough to put on, which I thought might be difficult with the curved edges. Still looks great with no evidence of peeling at the edges as some have noted, although it's all very new, (about 2 weeks). Time will tell, but for the money I reckon you can't go wrong. Was great for the first week. Great for the first week, just noticed today how easily the screen protector damages in terms of scratches, The slightest fingernail scratching at the screen make it look tacky and damaged. 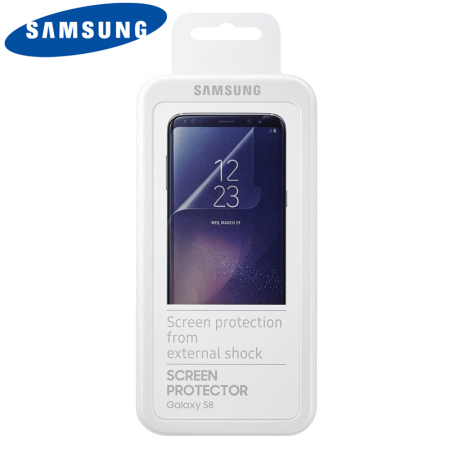 It is a cool set, perfect fit (fully covering curved edges) when used with samsung protective, silicone and alcantara cases.. easy to install and it is nice that you get two protectors and a squeegee lined with non-scratching cloth.. So I have tried MANY of the popular glass screen protectors that are being reviewed by all the big youtubers and this one seems to be the best. Its not lifting, and the bubbles go away with in 3 days. After it settles, its ultra responsive and doesn't have the nasty plastic feel. Be very careful on which cases you pair with this screen protector because if they wrap beyond the curve of the phone, they will lift the screen protector. If like me you didn't get the screen protector on PERFECT, wash your hands and run water over the phone and screen protector. You can now lift the protector and reposition it with a wet application method. Then smooth out the water bubble and let it dry for 2 days to remove all bubbles. This screen protector can actually be reused doing the above method. The glass protectors do not play well with the gear VR so be mindful that the gear VR will lift any glass protector. Ge this instead and an appropriate case. Excellent product. I had to do some research on these screen protectors. Trust me I think really samsung have nailed it perfectly with their accessories. They design them well and this protector does the job well. Even having the Samsung covers and cases they do work well with this Samsung product. Don't waste going cheap with an after market one. Chances are it won't work as well. Stick with Samsung make. Comes with a spare protect incase you get it wrong with the first attempt and comes with tools you need to apply to the screen. Perfect fit. Comes with two protectors and covers the screen correctly. It was very easy to do and took about 5 minutes. Quality screen protector does the job! Really handy having twin pack... easy tobpur on & really does protect the screen as I found out within a few days. Great having a replacement to hand. Quick delivery by Mobilefun so would definitely use them again. Tried a few screen protectors for the new Samsung Galaxy s8, this one is the best so far. Excellent screen protector, make the phone easy to use and feels good. I have brought those screen protectors and I was not sure about the result on this specific endless screen. But Samsung have perfectly design it and it is easy to place it to cover almost all the screen. As this is an official Samsung screen protector and you know it is going to fit the phone correctly,which is precisely the reason I bought it. Other than that all i can say is that it does the job well. Although I'm sure there is another product out there that works just as well for half the price! Having tried 3 glass screen protectors (all of which numb the screen to the point of it being unusable), I thought I'd stick to a Samsung original plastic one. Amazingly, these are hopeless. As someone else has commented, they don't completely cover the screen... leaving a slight lip which started to peel about 10 minutes later. Yes, the screen was spotless before installation and aligned perfectly... but it still lifted and created an air pocket. I'll be returning these to MobileFun next week. It has a 1mm edge all around it that doesn't stick to the screen, so of course dirt gets in there. The unstuck edges also catch on clothing when it is put in my pocket, peeling it off the screen. Surprisingly bad quality from Samsung. I have already ordered a replacement after 1 week. First of all, one of the protectors I got as part of this 2 pack had couple marks on it already which led to bubbles on the screen when fitted so had to use the second one. Annoying as they aren't cheap for what you get and don't have a spare now. Apart from that after the second one was on without issue it looks good and fits well. Bit of a pain fitting it to the curved edges and squeezing the bubbles out but same for any screen protector.